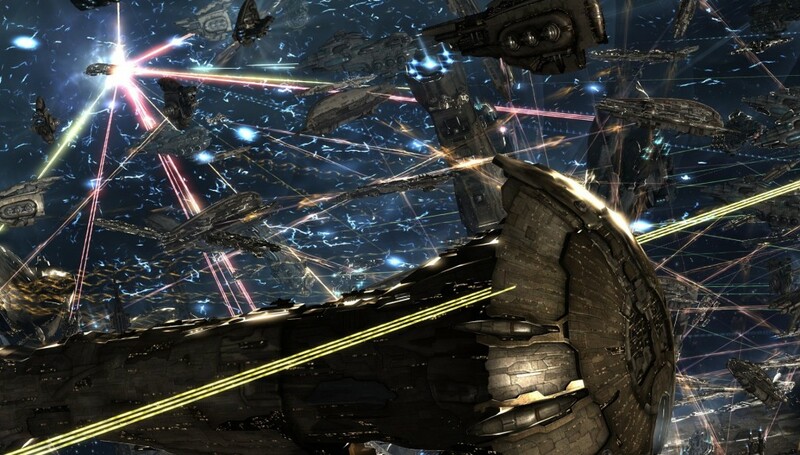 Home » General » You should try out Eve Online today. Why? As the title suggests this is a post for the ones that haven’t tried out Eve online yet. I’m not going to make a big review of Eve here in order to convince you to give Eve a chance. Other people have already done it [g]. Chances are that you have read something, somewhere about Eve or you have seen some videos, etc. and you may be playing with the idea of starting a trial in Eve even if only to see what is all the “fuzz” about. In this post, I hope you may find something to help you with the decision. You should know that most of the things you hear about Eve are myths. On purpose or not, consciously or not, some people help maintain these myths. They have their own reasons for doing so but this is not a post about them, so let’s move on. A terribly difficult game to “master” popes up almost every time someone brings Eve into a discussion. In my opinion, there is misunderstanding regarding the complexity of Eve. In general, complexity doesn’t necessarily equal difficulty. Better said it doesn’t necessarily imply intrinsic difficulty. For example, the standard approach in science when dealing with complex issues is to, whenever this is possible, break the complex problem that needs to be solved in smaller pieces. The same approach works just fine for Eve. Once you do that, you’ll find that Eve is not hard but rather trivial, to the extent that you may even find it boring. If you really want to see a tough problem, try to find a formula for generating all the prime numbers. A prime number (or a prime) is a natural number greater than 1 that has no positive divisors other than 1 and itself. There are infinitely many primes, as demonstrated by Euclid around 300 BC. There is no known useful formula that sets apart all of the prime numbers from composites. 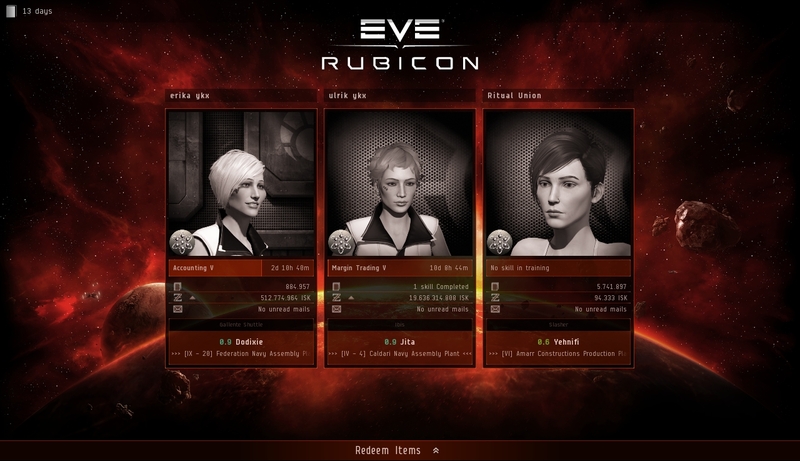 To “conquer” Eve you will need at least two of the four following things: friends, skill-points, ISK (the in-game currency) and real world money. What all of these four things have in common is time, your time. However, unless you plan to be the next “king” of the Eve universe, you’re free to invest your time, as little as you want, as you see fit. The ability to make friends and (or) to have real world money doesn’t have much to do with Eve game mechanics. What I mean with this is that it doesn’t matter what games you play, if any, because that ability you have it or not to a greater or lesser degree prior to your online gaming adventure. The in-game currency – ISK is easy to get. You can pay for it with real world money via the in-game item called PLEX, or you can acquire it with in-game activities. For example, in two months of trading, as a relatively new player, I have gone from 3 Billion ISK to more than 45 Billion ISK. You can see in the image below the liquid ISK I had yesterday – around 20 Billion, with the rest being “invested” in the market. For reference, you should know that you could pay your Eve’s monthly subscription with one PLEX at the current price of 0.6-0.7 Billion ISK. The character skill-points system is at the same time the strong and the weak point of Eve. While some people like it, some people hate it. Skill-points are obtained in real-time and require you to do mostly nothing else than having an account subscribed. The skill-points amount and the distribution of your character skill points govern what type of in-game activities you can do in Eve. Moreover, they dictate how well you can do certain things. However, there is a limit for the speed of acquiring skill-points. The bad news is that if you want to “solo” play you need to wait quite a while before you can properly mess around with other people game-play. There is one exception – trading. The good news is that most of the activities in Eve are funnier when done with other people. In that context, even a low skill-points character can make a difference. The “only” difficult part about Eve is finding your place in it. In contrast to other games, you have to find your own way and since most people are terrible at setting their own goals … you get the idea. By the way, in my view, this also explains quite a lot of the Eve myths. I once said that after one is introduced to Eve (s)he has two choices: love it or hate it. These days I find myself oscillating between the two feelings. I don’t like many things about Eve. At the same time, I do like many things about Eve. What both of these types of feelings have in common is the regret of not having started to play Eve sooner. In other words, this is the reason you should try out Eve Online today. I have no idea if you’re going to like it or not. I guess that it is a matter of taste. However, I’m convinced of one thing: if you’ll try out Eve in a year or so from now and if you’ll find yourself in love with the game, you (like me) will be going to regret not having started it sooner. By Ritual Union in General on January 31, 2014 . ← ISK Review – Where are the banks?